Economic Valuation of IP – IP Sextant – Forniamo consulenza tecnica e legale sui diritti di Proprietà Intellettuale! A competitive advantage, resulting in higher quality products and services, is essential to make profits, because it puts the customers in a position to be willing to pay more. IP rights are crucial for protecting the competitive advantage ensured by superior technology (e.g. through patents, utility models, copyrights, trade secrets, databases, plant varieties and topographies of semiconductor products), attractive designs of either products, packaging or software interfaces (e.g. through designs and trademarks), distinctive reputation of products and services (e.g. through trademarks and geographical indications), and efficient business organisation (e.g. through trade secrets). 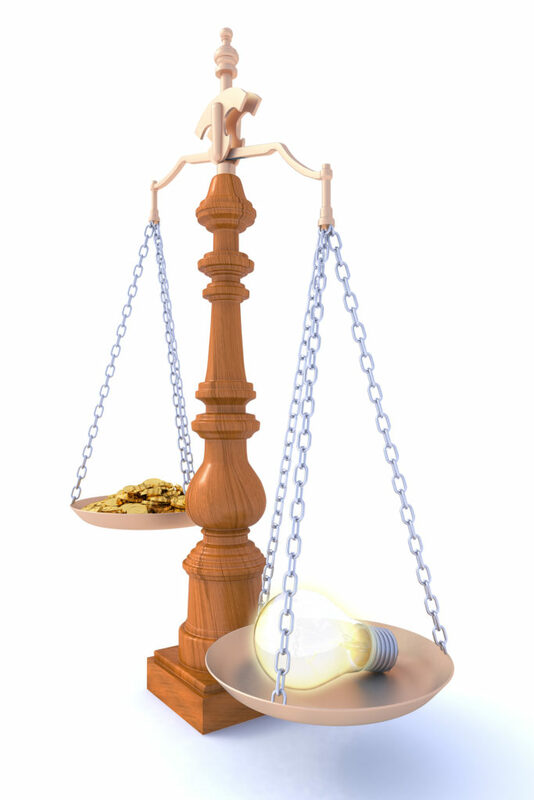 The value of any IP rights portfolio is the private economic value for the holder, in terms of future success, deriving from the exploitation of the same portfolio: it is only the specific usage that makes it a future success. A business scenario is needed, and a valuation depends on the concrete business scenario of usage. Ask for advice on the value of your IP rights in a specific business scenario.